Wearable sensor systems and information technology of today enables monitoring of people in their home, with the aim to follow health trends, providing distance diagnosis and communication facilities (Pantelopoulos & Bourbakis 2010). Elderly chronically ill patients are a key target group, together with the possibility to perform rehabilitation at a distance (Patel, Park, Bonato, Chan, & Rodgers 2012). Historically, telemedicine applications have been available since long, with their real breakthrough during the 1990s, and with clinical applications in practically all specialties (Thrall & Boland 1998). 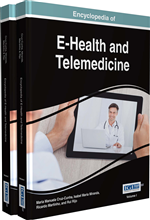 Telemedicine has been of special interest in sparsely populated areas (Alexander 1995; Made, Carle, Söderberg, & Hellström 1999; Raza, Joshi, Schapira, & Agha 2009), exemplified by the northern parts of Sweden and Australia. When introduced, most applications were focused on diagnosis and treatment of disease. However, the importance of prevention of disease, especially chronic disease, or noncommunicable diseases, is crucial. Noncommunicable diseases is the leading cause of death, and the estimated cumulative economic losses due to noncommunicable diseases during 2011-2025 is estimated to USDollar 7 trillion in low- and middle-income countries in WHO Global Status Report (2014). However, the definition of health as described by the World Health Organization (WHO) is not only the absence of disease, but; “Health is a state of complete physical, mental and social well-being and not merely the absence of disease or infirmity” as described in the “Preamble to the Constitution of the World Health Organization” (1946). Consequently, healthcare technologies should face the challenge to support prevention, monitoring and educational activities to be carried out in an easy and effective way both by medical staff, patients and healthy population. Information and Communication Technology of today has reached the maturity to satisfy these needs. The success is, however, dependent on adaption to the end-user’s needs, and the user aspects are crucial in the development process (De Rouc, Jacobs, & Leys 2008; Kujala, Kauppine, Lehtola, & Kojo 2005; Kujala 2003; Sandberg, Jensen, Flø, Baldursdottir, & Hurnasti 2001). Knowledge based information systems, reliable communications, security protocols and reliable devices and applications, are available and affordable at the point of care. Furthermore, Embedded Sensor Systems (ESS) linked to information and communications platforms open new opportunities to support this wider range of healthcare services both at the clinical scenarios, such as hospitals, primary care centres or therapy units, and at personal health scenarios like the home, transportation, sports, and work. The home healthcare scenario is a particular challenge as emerging health policies aim to prevent, treat and follow-up acute or chronic diseases in a cost-effective way (Bernard & Choi, 2012; Bodenheimer, Lorig, Holman, & Grumbach, 2002). Therefore, health technologies have to rely on situations that are not “under control”, unlike a medical unit where all the environmental conditions are well known. Wearable technologies, signal processing, local decision support systems and accessible low cost devices could become real enablers of health prevention, tele-monitoring, and home based follow-up services (Lindén, GholamHosseini, Lindahl, Otterskog, & Tomavic, 2015). The mission is not only to support the identification and treatment of disease, but also to reduce its prevalence, enhance its cure, and reduce the probability to get sick again, thus to foster secondary prevention activities.